There was a moving story recently on the classical music station Classic FM. Someone had emailed the station with the story of how, when he first met the nurse who would become his wife, their favourite piece of music had been a piece by Chopin. That was in the 1970s. He ended the email by saying that the piece had recently been played at his wife’s funeral. Those who heard it may have found it difficult to hold back their tears, because Chopin’s music is some of the most emotionally deep and powerful ever written. Born Fryderyk Chopin in Poland on this day, March 1st, in 1810, he lived only to the age of thirty-nine, but in that brief span of life he earned his place among the very greatest names of classical music. His work seems to be a message direct from composer to listener, as though heart is speaking to heart. I don’t think he could have written such personal music for a full orchestra and he certainly couldn’t have written it for an instrument like the trumpet. He didn’t write for the trumpet, of course. Instead, he wrote solo pieces for perhaps the most subtle and powerful musical instrument ever invented: the piano. That subtlety and power are acknowledged in its full name, the pianoforte, which combines the Italian wordss for “soft” and “loud”. Unlike the earlier keyboard instrument the harpsichord, it matters very much on a piano whether you press the keys gently or with force. A harpsichord plays its silvery notes at the same unvarying volume; a piano can tinkle or thunder, climb from very soft to very loud, or descend from very loud to very soft. That acoustic range gives it an unparallelled ability to capture the full range of human emotions, from happy to sad, wistful to angry, and everything besides. 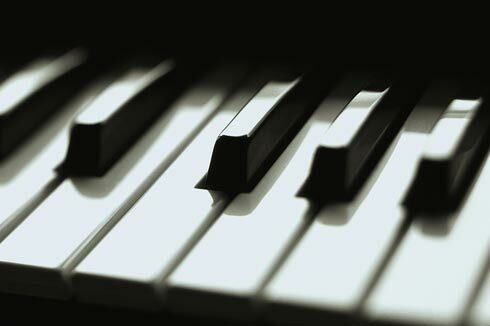 The piano is like an artist’s palette loaded with every colour in every shade and strength. Chopin could paint gorgeous musical pictures with that palette, or perhaps you could say musical friezes. Music develops, after all. It isn’t static or frozen: it changes over time, just like life. When you listen to a piece by a great composer, even a short one, you can feel as though you’ve been on a journey. Chopin’s ability to send his listeners on musical journeys was undoubtedly shaped by the literal and emotional journeys he undertook in his own life. Although he was born in Poland and is honoured as a great Polish composer, his father was French and he wrote most of his music after he had settled in France at the age of twenty-one. Today his first name is best-known in the form Frédéric, not in its Polish form Fryderyk, and France hails him as one of the greatest of its adopted sons. He had begun his musical career in Poland, revealing his prodigious talent in early childhood, but he reached maturity as a composer in France. And he also had his greatest love affair there. George Sand was a female novelist, six years older than Chopin and already the mother to two children. She had had many lovers by the time she met Chopin, but she astonished by the passion she felt when she began an affair with the slightly built and frequently ailing composer. The affair itself was like a voyage at sea, sailing through both sunny waters and towering storms, and the two lovers would record its highs and lows in their art, Sand using words and Chopin using musical notes. On hearing Chopin’s music, we can experience the emotions he felt, whether strong, as he was shaken by his passion for Sand, or sad, as his worsening health turned his thoughts more and more towards his own passing. This is why he is often thought of as a quintessentially romantic composer, in all the senses of that heavily freighted adjective. Romanticism encompasses both ecstasy and agony, triumph and tragedy, and Chopin experienced all of those during his brief life. He met Sand in 1836; in 1847 they parted way, never to meet again. The end of his life was fast approaching, but although he was writing less and less music, he had already taken his place as one of the brightest stars in the classical firmament. Today, more than two centuries after his birth, his musical star shines as brightly as ever. The subtlety and power of his music place great demands on performers and offer great rewards to listeners. He wrote from the heart and speaks to the heart, enabling solo performers at the piano to play to crowded concert halls and yet seem to be addressing each person alone. At times of heightened emotion, whether of love or loss, his music has enriched the lives of countless listeners in first the nineteenth century, then the twentieth and now the twenty-first. He is one of classical music’s giants and will undoubtedly remain so.